The intermediate Jumbe has been certified in sizes S, M and L in DHV 1-2, while the XS size passed Afnor Standard (57-68kg). The Jumbe keeps many features from its cousin (FP's) Spirit. According to the design team, leaded by Michel Leblanc, "the brake travel has been increased, compared to the Spirit, and all the feedback we receive say that the Jumbe is also a bit more performant than the Spirit". 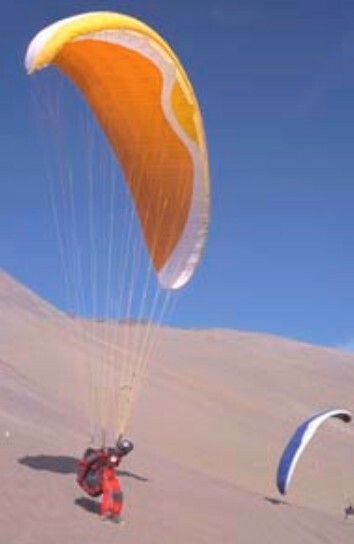 The factory has also created an extra-large version, called Shani, to be certified both as an XL solo glider and as a small Tandem (110-160kg).